I guess you know what my response would be … ENJOY THEM! Of course! Lots of our customers leave southern areas seeking warmth during winter – if any of you are coming home now or in a few weeks, if you didn’t prune prior to leaving home, happily go about and prune your rose garden. Flowering might be a little later than usual but you’ll be staggered at the size and quality of the blooms when they arrive in early summer! 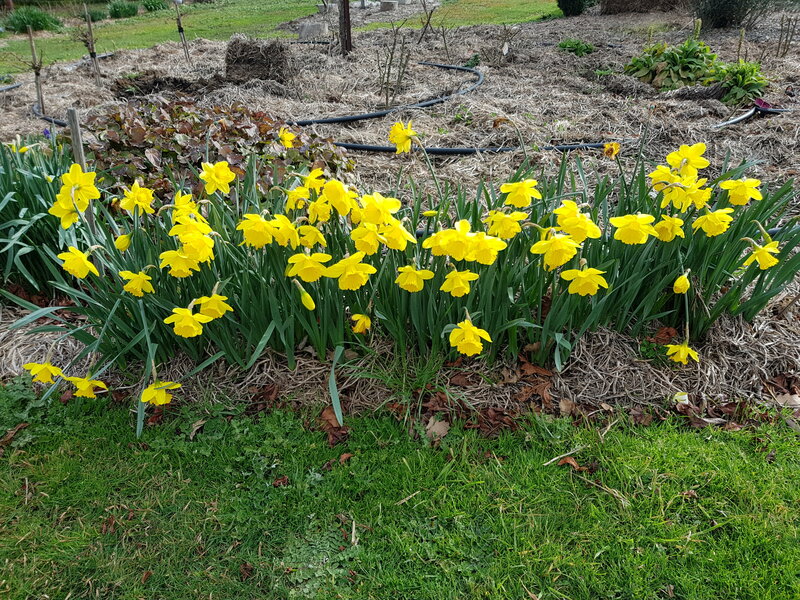 Late last summer I planted hundreds of EARLY FLOWERING DAFFODILS and the gardens here are spectacular now despite heavy frosts – the bright yellow daffodils are so warming and a lovely reminder that spring is in the air! Q: What do you get if a giant steps on Batman and Robin? A: FLATMAN & RIBBON! 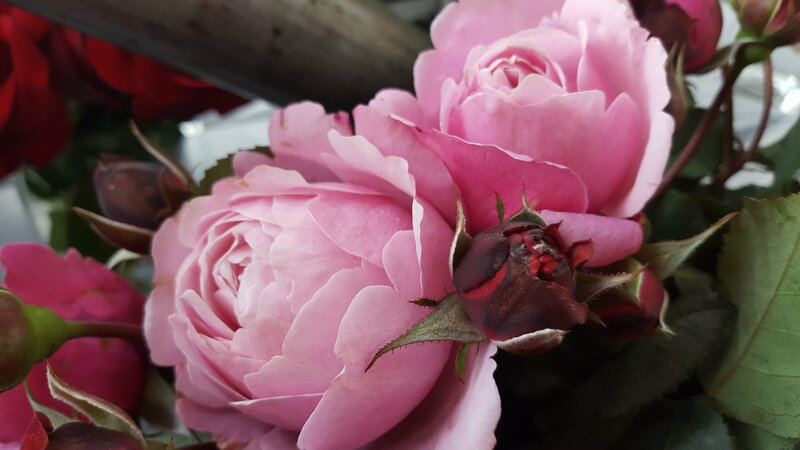 One of the most strikingly pretty, very free-flowering and robust roses you could wish to have – add to that, incredible fragrance, extremely high health and you’ll be stunned with a row of three or more of this magnificent rose. Creates a low hedge to around 1 metre tall and it is never without heads of flowers which are ideal for a vase – it’s magnificently fragrant, and produces the darkest crimson red blooms constantly in a west-facing garden. Is so awesomely pretty that when people step from their car in the top carpark they are drawn to visit this beauty which produces long stems of roses which are suited to use as a lasting cut-flower – a hedge or group of three or more plants will offer you masses or gorgeous blooms in vases throughout the flowering season! Q: Why wasn’t there any food left after the witches party? A: Because everyone was a goblin. All organic mulches conserve water by reducing evaporation due to sun and wind, they supress weed growth and feed earthworms and many other microbial insects vital to balance the eco-system of the soil in your garden. Organic mulches hold and retain moisture for their use in hot weather! Straw (wheaten, oat, barley, pea) can be used very effectively in times of dry weather. There is no doubt that lucerne straw is by far the most superior mulch because it breaks down and adds beneficial nutrients to the soil – right now, however, most lucerne will be used for drought affected animals! 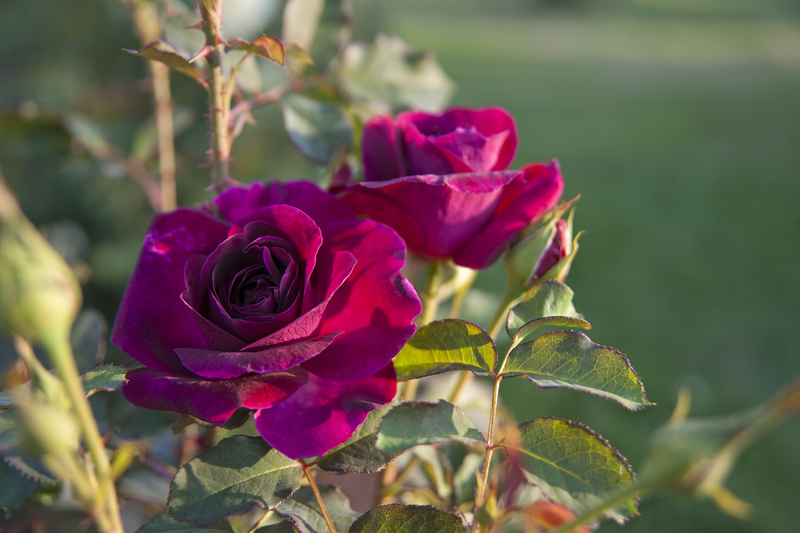 Mulch of woodchips / leaves / animal manure around roses and other plants is effective however, apply lime over the soil every second or third year to counter possible acidity. I will talk more about soil health after my attendance at a SOIL WORKSHOP this past weekend. IMPORTANT: get a good cover of any of the above mulch products over your soil as soon as you have weeded the garden this week! Q: Why did the greyhound breeder take dog food to bed? A: Because he wanted to feed his nightmares! 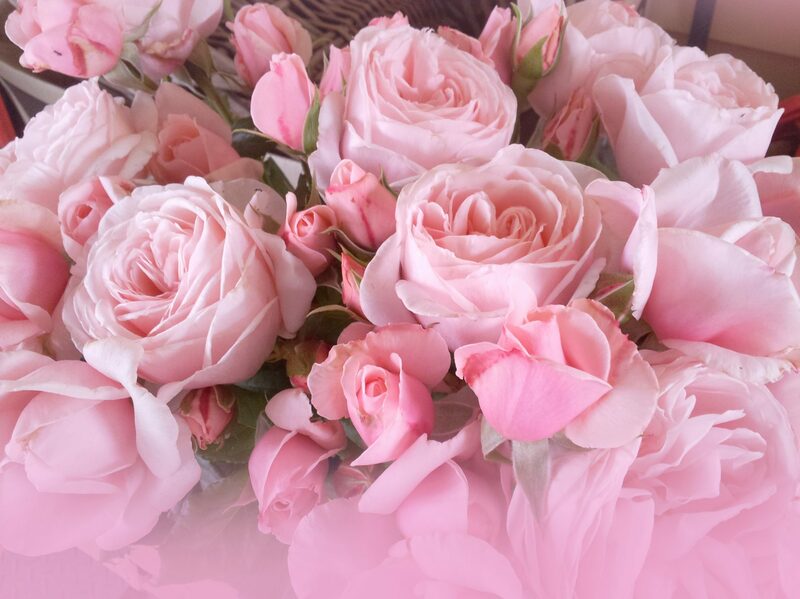 “It is not for you to thank me….it is for me to thank YOU!!!! 🙂 Thank you, again! 🙂 With kindest regards, Jo-ann”. During the next few weeks we’ll happily post our roses knowing they’re bouncing to be planted in your garden – we pack them so well and remember, OUR ROSES ARE 100% GUARANTEED TO GROW IN YOUR GARDEN – especially if you follow all of Graham’s recommendations for healthy growing! 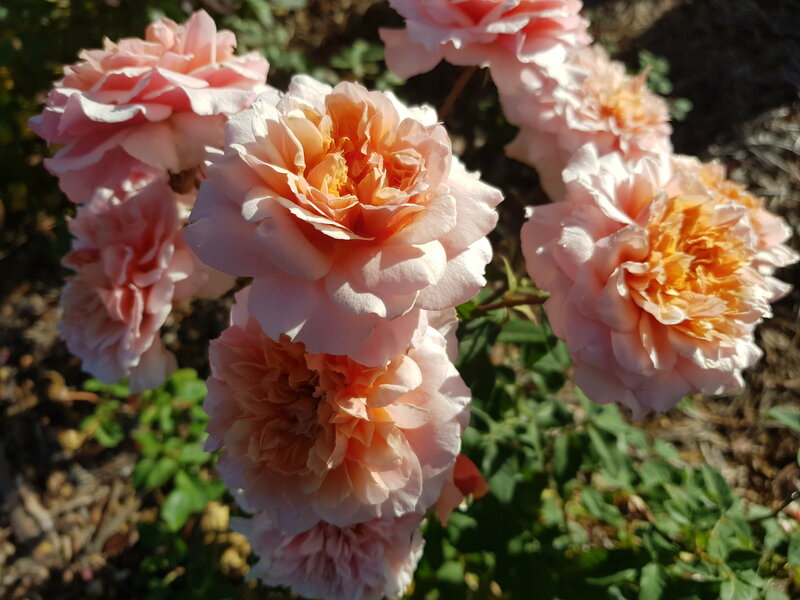 Weekly Eco-Seaweed solution over your roses in the first six weeks after planting will ensure the plants settle well – please don’t EVER let them dry out before planting and please, DON’T EVER OVERWATER once they’re planted!